2019 Queen of the Diamonds Tournament Registration! Welcome to the 25th year of Naperville Diamonds Softball! 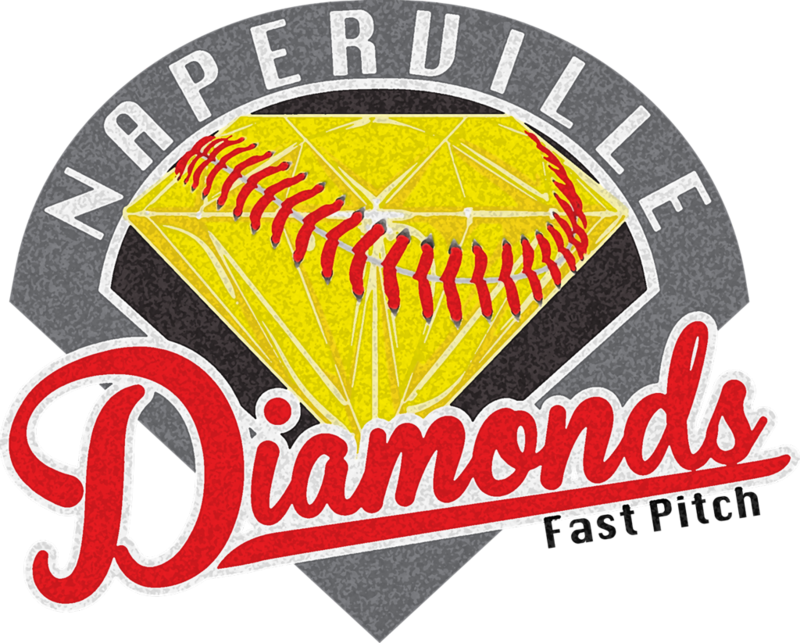 Established in 1994, the Naperville Diamonds is one of the largest travel softball organizations in Illinois, designed for girls from 7 to 18 years of age. It is our mission, through the sport of softball, to help grow strong, confident, successful young women. From our tournament programs which competes with the top programs throughout the Midwest to our in-house developmental division, there is a softball home for everyone with the Diamonds. This spring, 79 Diamonds will play IHSA softball for 23 different high schools in the area. 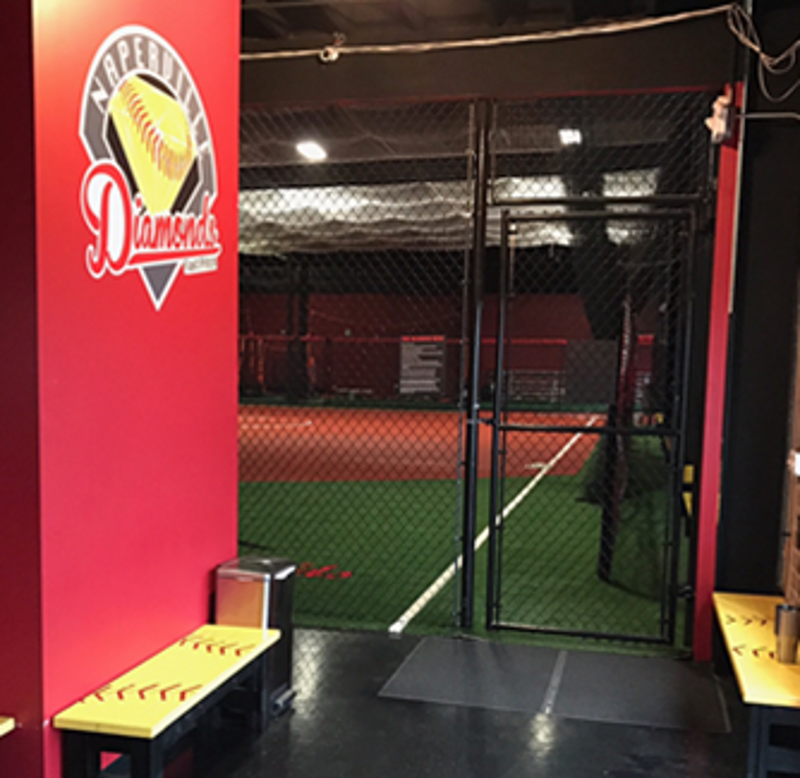 In 2016 we opened our indoor training facility, "The Diamond Mine," as one of the premier indoor facilities in the Midwest. An addition in the fall of 2018 now gives Diamonds players more than 18,000 square feet of off-season training space. We are a non-profit organization that survives thanks to the countless hours of so many volunteers. Please consider donating your time or other resources so we can continue providing exceptional athletic opportunities for your children. A look at some of top performances over the last year. Go Diamonds! 12u McNamara Wins Blizzard Blowout! Congrats to the 12u McNamara squad for its dominating performance at the Blizzard Blowout February 8-10 in Peoria. The Diamonds went 5-0 on the weekend, outscoring their opponents 40-2. Way to go ladies! 11u Drehs Earns National Bid Congrats to the 11u Drehs squad for ending its fall season with a second place finish in the Louisville Slugger 12u USSSA Fall Classic October 19-21 in Peoria. With the second-place finish, the squad earned its bid for 2019 Nationals. 12U Heitman Wins Lisle Slammers Fall Bash! Congrats to our 12U Heitman team for winning the Lisle Slammers Fall Bash USSSA Qualifier Oct. 14 to win the title and finish their fall a phenomenal 14-1-1. Congrats ladies!!! 12U Heitman Grabs National Bid! Great job to the 12U Heitman team for taking 1st at the Carol Stream Autumn Storm USSSA Open Sept. 23. The team went 6-0 and took first place - awesome job ladies! 10U Morgan takes 4th at ASA Nationals! Congrats to the 10U Morgan team for its fourth place finish at ASA Nationals in Montgomery, Alabama! The team battled 15 of the toughest teams from 10 different states! Klingbeil 12U Takes 4th at ASA N. Nationals! Great job to our 12U Klingbeil squad finishing 4th at ASA Northern Nationals in Wisconsin. Way to go ladies! 10U Drehs takes 3rd at USSSA Nationals! Congrats to the 10U Drehs squad for finishing in 3rd place at the USSSA National Championships in Columbus, Ind., finishing 53-13 on the season! 14U Williams Wins SWS! Congrats to the 14U Williams team, the regular season and tournament SWS champs! The team went 18-2 and were 3-0 in the SWS tournament! Great job ladies! 18U Muldoon Takes 2nd in Downers! Congrats to the 18U Muldoon team for taking 2nd place at the Downers grove Classic on July 15! 10U Drehs Nabs SWS Title! Hats off to the 10U Drehs squad for winning the SWS Tournament July 3. The Diamonds went 17-2 in the regular season and backed it up with a 4-0 run in the SWS tournament! 12U Maruna Grabs 2nd at Firecracker! Hats off to the 12U Maruna team who took 2nd place at the Geneva Firecracker USSSA Qualifier July 1, earning its bid to USSSA Nationals! 11U Takes SWS Title! Congratulations to the 11U team who grabbed 5 straight wins through the losers bracket, to win the 2018 SWS 11U Travel Division Championship! Muldoon 18U Takes 2nd! Congratulations to the 18U Muldoon team for taking 2nd place Summer Sizzler on June 24 - awesome job ladies! 18U Molnar takes 3rd in Moline Great job by our 18U Molnar team - came in 3rd at ASA Northern National World Series Qualifier out of 25 teams in Moline June 24, going 5-1 - great job ladies! 10U Morgan Wins QOD! The 10U Morgan team grabbed the Queen of the Diamonds ASA National Qualifier on June 3! With the win, the team punches its ticket to nationals in Alabama in July. 10U Morgan Grabs Wasco Title! Great job to the 10U Morgan team for taking 1st in the Wasco Diamonds Memorial Day Classic! The squad went 4-0 and won the tournament for the second straight year! 10U Drehs Wins Oswego Spring Shootout! Great job to the 10u Drehs team for taking 1st at the Oswego Outlaws Spring Shootout May 20! The squad went 6-0 on the weekend! 12U Maruna Grabs 2nd at USSSA Qualifier Great job to the 12U Maruna team as it took 2nd place at the Spring It On USSSA Qualifier in Streamwood on May 6 - great job ladies! 10U Drehs Earns National Bid! The 10U Drehs team earned its national bid by winning the USSSA Spring Swing in Portage, Ind., April 23. The team went 5-0 on the weekend, outscoring its opponents 35-7! 9U Jones Wins Spring Swing! The 9U Jones team won the Lincoln Way Spring Swing in Lockport April 23. The team went 5-1 in the tournament, coming from behind to win the title game 6-5! 13U Schmidt Takes 2nd in Peoria! Congrats to the 13U Schmidt squad for finishing 2nd in the USSSA National Qualifier in Peoria on April 23. Great start to the season ladies! The 14u 'A' Naperville Diamonds Klingbeil squad is looking for an athlete with catcher/utility desires. The team is planning a competitive ASA/PGF schedule this summer. Please contact Joe Klingbeil jlplumbingklingbeil@gmail.com or 630-203-7811 for more info. naperville diamonds featured on NCTV 17 Sports Sunday! Click here for informational video!